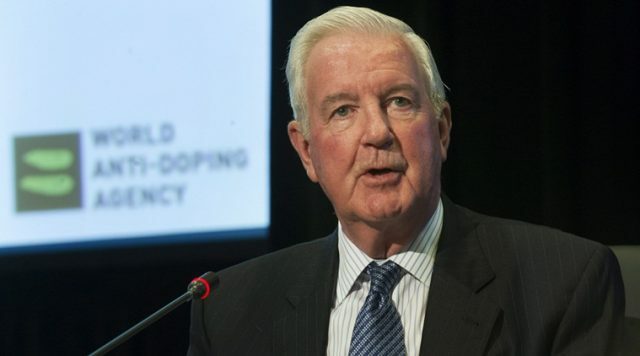 World Anti-Doping Agency (WADA) President Sir Craig Reedie has called on Governments to increase their funding to the fight against drugs in sport during a robust defense of his organisation. Speaking at the World Forum on Sport and Culture in Tokyo, Sir Craig specifically called on Japan to step-up their contribution after the country’s Prime Minister Shinzo Abe vowed to support the International Olympic Committee’s (IOC) efforts to combat doping this week. “If Prime Minister Abe has influence with Governments, then please ask him to reinforce that message,” the Briton said after delivering his speech. “If he decides to be hugely generous in his encouragement, I operate on a budget of less than $30 million a year with the world’s doping problems to solve. “This is a tiny, tiny amount of money. “The IOC match Government contributions dollar for dollar. At present, WADA is funded 50-50 by Governments and the IOC, with both sides under pressure to step-up their respective contributions. After the problems WADA faced with the anti-doping authorities and laboratories ahead of Rio 2016, Sir Craig did, however, express his confidence that Tokyo would be more successful. “I am very confident that what will happen here, in the build-up to Tokyo and through Tokyo, is in excellent hands,” he added. “The Organizing Committee is fully aware of their responsibilities and the manpower that they will have to deliver to conduct the whole anti-doping program. “Much of that will be run by the Japan Anti-Doping Agency, and they are one of the very best national anti-doping agencies in the world. The Rio de Janeiro laboratory was declared non-compliant in the run-up to the Brazilian Games before being cleared shortly beforehand. Sir Craig was speaking in the aftermath of an Olympic Summit in which suggestions to reform the global anti-doping landscape were recommended by the IOC and other stakeholders. They will now be discussed in detail at a WADA Foundation Board meeting in Glasgow on November 20. In the last few months, however, various figures in the Olympic world have attempted to blame WADA for not doing enough to combat alleged state-sponsored doping in Russia. Others have called for the body to play less of a regulatory role and more of a direct testing one. Sir Craig defended their response to the Russian doping crisis and pointed-out how they have commissioned two independent reports, with the second of these, chaired by Canada’s Richard McLaren due to be completed towards the end of this month. He also highlighted wider progress achieves over the last year, including the advent of the athlete biological passport testing system. “WADA has punched well above its weight,” he said. “We can be quite proud of what we’ve accomplished on modest means. He did not, however, mention other issues, such as the problems they have faced in the last year over the process to ban meldonium as well as the ongoing questions about their systems for awarding therapeutic use exemptions. Sir Craig’s full speech can be read here.